Gotcha! I KNOW that most of y’all didn’t know that I read inspirational books. Especially Amish Romance. I found Amish romance book through the Harlequin Love Inspired Line years ago and I blame Marta Perry for that. If you have not read Ms. Perry…shame on you. Anyway, when I was contacted to read Breath of Spring for review I jumped at the chance. A few things though. This is a sweet romance. Yes, there is kissing. Amish people aren’t celebent. They love just like you and I. They have the same yearnings, wants and desires that we do. But they “court” before they marry. Its a sweet process that is endearing and I long for it at times. No one rushes into things. Annie Mae is one tough heroine. I’m not sure that I could hold up with all the responsibilities and burdens that come her way at such a young age. Barely 18, she has taken the task of raising her siblings due to her father being kicked out of their Order. Trust me, its bad and a thread throughout the whole series. That said, Ms. Hubbard explains the back story of Hiriam (Annie Mae’s father) and the rest of community with ease. I was never lost but there are a couple of books that I’m now dying to read. Once you start reading the book, you can’t put it down. I read it in one day it was so good. What really drew me into Annie Mae and Adam story was the trope that Ms. Hubbard used. The boy/girl next door. These two grew up next door to each other and never once looked at each other in a romantic way. It was sweet how they finally realized how much they meant to each other. Which, Adam is the best knight in shining armor I’ve read in a very long time. I would be remiss to remind you that some of their customs are not our own. What Hiriam and Yonnie did to Annie Mae is sick and yes, the law did show up but its their way. I held my breath during that scene praying that Adam would help Annie Mae. There is a reference used about a real life incident that happened in Ohio which really pulled the whole scenerio together. Plus, the scene at Annie Mae’s birthday party…I cried. Beautifully written scene that I dare anyone not to tear up a bit. Also, Adam and Annie Mae discuss their Rumspringa. Adam’s Rumspringa had a tragic ending and bless his heart, carrying that guilt for so many years..my heart broke for him. Annie and Adam had to figure out their faith and belief in not only themselves but each other to finally come together in the end. Their community is built on faith and family. Not everyone has a traditional family, even in the Amish. Its how you deal with the hand that you are dealt and believing in yourself and God that everything will turn out. 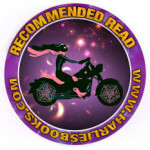 Did I mention that there is a vintange 1940’s Indian Chief motorcycle that comes into play a lot in the book? My bad…also, recipes and food? I’m making the sausage/rice casserole and Hot Fudge Cake this weekend. Oh my word they sound delicious. Previous postExcerpt of Richard Berkeley’s Bride by Cate Parke w/a rafflecopter giveaway! Thank you so much for your insightful, thorough review, Marika! You did a wonderful job of presenting Annie Mae and Adam and the Willow Ridge situation as a newcomer to this series!